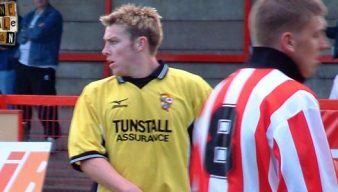 Steve McPhee was a Scottish striker who was signed on a free transfer from Coventry City and who became a firm fans favourite before a move to Beira Mar. To fill a quiet news day here is an occasional series from OVF – which players have appeared for both Vale and Coventry? Rob Fielding was delighted to catch up with former Port Vale striker Steve McPhee recently and ask him a few questions about his time at the club. 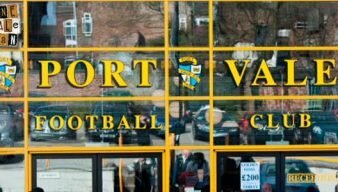 The Scottish striker started with a goal and left under a cloud of controversy, but he will be remembered fondly by a generation of Vale fans. Steve McPhee won our man of the match vote against Rushden. It was his sixth star man award and makes him the outright winner of our man of the match league table. The Valiants have confirmed that an offer has been made by Leeds United for 27 goal top scorer Steve McPhee but that it was rejected by the club board. Chairman Bill Bratt fears Stephen McPhee could become a “forgotten man” if he fails to impress in Portugal. Is McPhee On the Move? Is Vale’s top-scorer Steve McPhee set to make a move to Portugal? We talk EXCLUSIVELY to the journalist who broke the story. 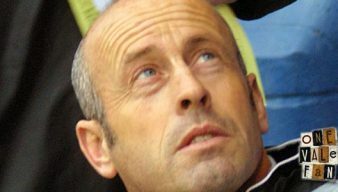 Port Vale supporters gave new manager Martin Foyle a tremendous reception ahead of the Oldham game.